Under the leadership of Rabbi Y. Zvi Weiss, our Shul is proud to offer warm and inspiring services, learning opportunities and programming for the entire family in a convenient location on the corner of Clarks & Fallstaff. Our numerous minyanim throughout the week accommodate all schedules and sterling Baalei Tefillah have earned a reputation for beautiful and well-balanced Shabbos davening. Click here to view our current 6-month schedule for the most up-to-date davening times. 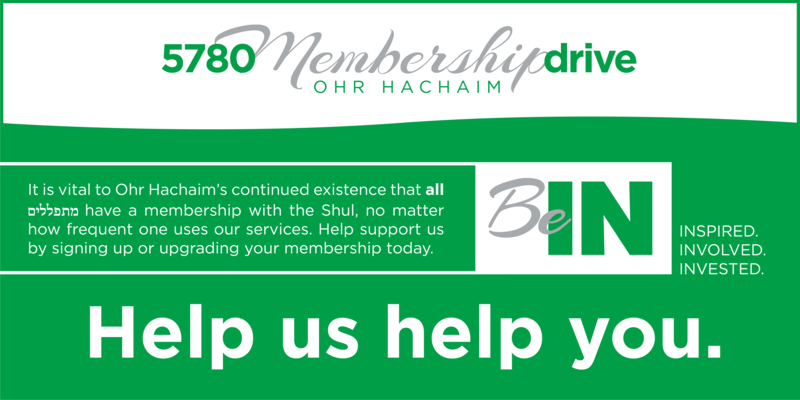 We offer nightly shiurim and chaburas, multiple Daf Yomi shiurim and informal gatherings such as Chat & Cholent at the Rav's house at 10PM on Thursday nights. Check out the different opportunities to infuse your day with learning and growth, or request a chavrusa for any topic or schedule. The active Sisterhood and growing youth division have provided engaging events for the entire family. Stop by our Chanukah and Purim parties, women's events and Shabbos groups to make new friends and celebrate special times. Whether a new face or longtime member, we would welcome you in person.